Many people out there think the Deen bashing has gotten out of hand, including everyone on WhitePeopleMadAtFoodNetwork.tumblr.com. 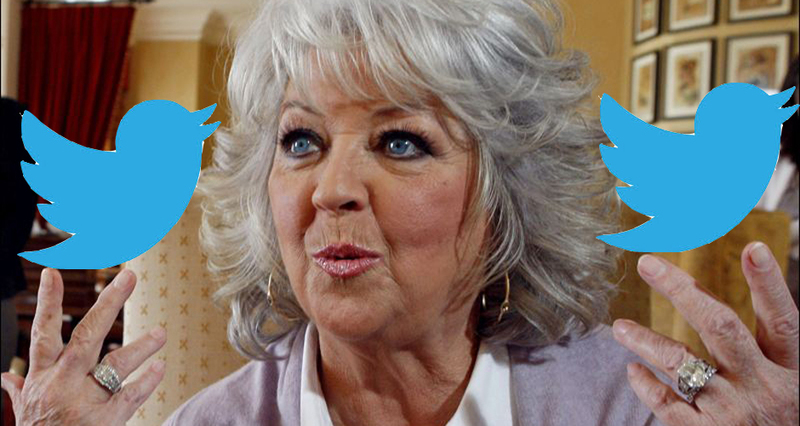 There has been an abundance of Paula Deen hatred floating around this week, from news commentators gleefully proclaiming their outrage at her racist language to people poking fun at her on Twitter. But Paula Deen still has her supporters, and they sincerely believe the N-word slinging butter queen (see, it’s so easy to succumb to slander) should be left alone. 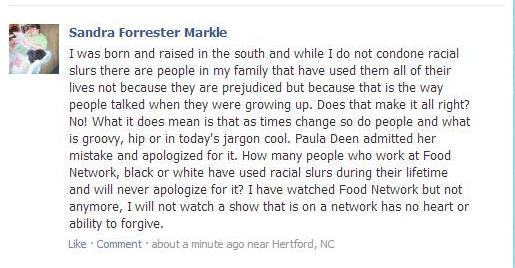 In the midst of all of this, a Tumblr titled “White People Mad at Food Network” has rounded up Facebook responses defending Deen. 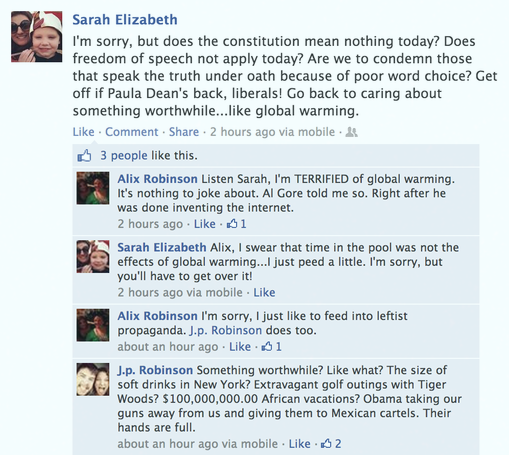 Some Facebook users have posted that they are “tired of the double standard with regards to racial [epithets],” while others insist that Deen has “contributed to race relations” by helping the Neelys and President Obama. Click through the gallery above, where we have compiled some of the most provocative arguments made by Deen’s defenders. 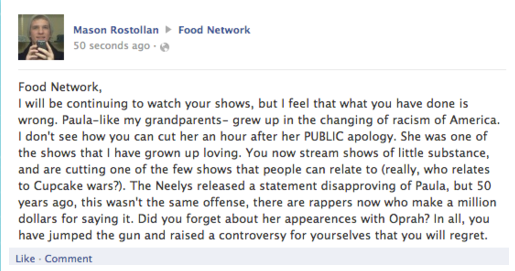 And the folks who defend the ex-Food Network star include more than just her Facebook fans. The New York Times reported that people lined up Saturday outside Paula Deen’s restaurant in Savannah, GA, many of them angry that Food Network dropped Ms. Deen. Meanwhile, chef Edward Lee shared his thoughts with Eater and turned the mirror back on those attacking her, decrying the many stereotypes people are quick to place on the contemporary South. President of Savannah’s toursim board, Joe Marinelli, tweeted that he supports Ms. Deen and that she will forever be a part of his Savannah family. Bill Maher posed the question as to whether people really need to “go away” for using the N-word on his show Real Time, and even Al Sharpton popped up to play the water-under-the-bridge card. And—perhaps least surprisingly—Ms. Deen’s sons, Jamie and Bobby, went on CNN”s New Day just this morning to dispel the impression of their mother as a racist. 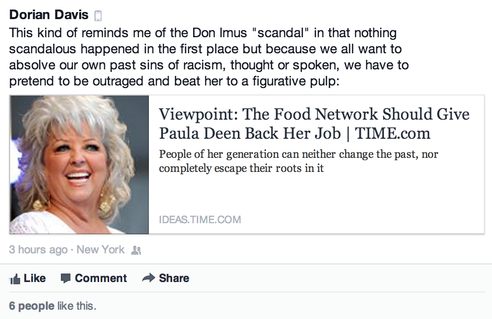 With this much debate surrounding whether or not Deen should be condemned for her words, and whether Food Network and Smithfield were justified in their decision to drop Paula Deen, this is shaping up to be one of the most fiery issues in recent memory. 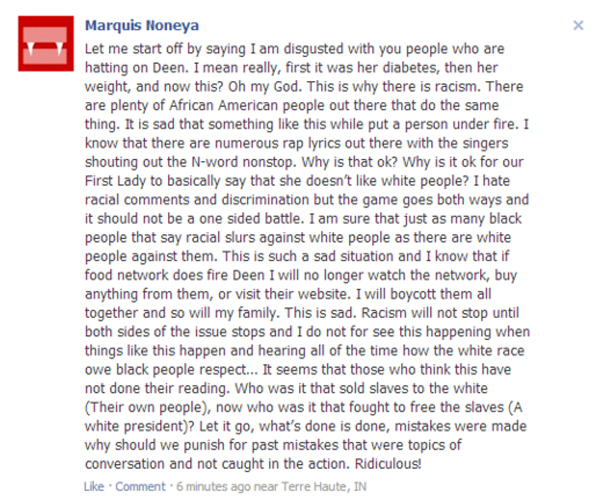 If anything, it’s getting people’s thoughts surrounding racism in America and Southern stereotypes out on the table. The fear, of course, is that will just end up with the same old senseless ugliness and wooden arguments that tend to dominate the race debate in this country. Here’s hoping for a better outcome than usual. 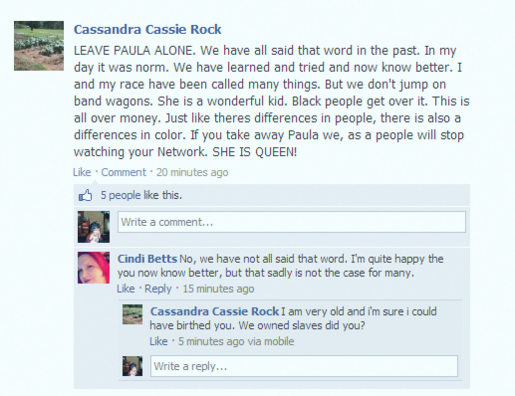 Click through the gallery to see some of the Paula Deen anti-hatred that has made its way onto Facebook. All images courtesy of WhitePeopleMadAtFoodNetwork.tumblr.com. Click through the gallery to see some posts from the “White People Mad at Food Network” Tumblr, including some captions from the site. 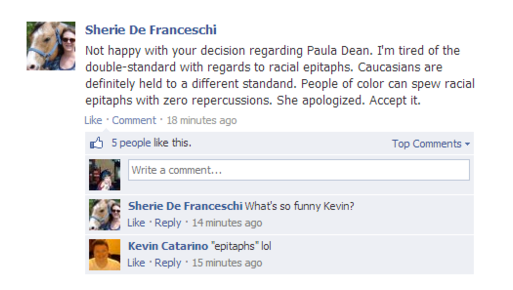 "Paula Deen can’t be racist! She has a black friend!" "You’ve got me there. We have all said something. Mostly. I mean, I suppose there are also people with various sorts of mutism. They probably haven’t said something. At least not with their mouths. If you’re including sign language though, then your point is likely airtight." "Janet, I’m really happy for you and I’mma let you finish, but Paula Abdul was the greatest Paula of all time. ALL TIME."